Why not get an Estimate for work required from North London Locksmiths. Want to get an Estimate from North London Locksmiths Ltd., then contact us for your FREE!! yes FREE!! estimate. FILL IN THE ESTIMATE FORM AT BOTTOM OF PAGE. To get an Estimate for any lock you need fitting or for our HOME SECURITY SERVICE as well as our 24 Hour Locksmith Service, please fill in the form below or telephone our office on 0208 800 6041 to speak to our friendly Locksmith team, who will advise you on any lock you require fitting, or how much it will cost to open any lock. Our Carpenters and Locksmiths are skilled workers, we do not use unskilled labour for our carpentry or locksmith work. Why pay over the top prices? When you do not need to!!! Our company has been trading from the same address for the past 32 plus years, this is a reflection we are doing things right. You have an address that is established, if you have any problems with work undertaken by our company. Why use any other company than NORTH LONDON LOCKSMITHS LTD. The original and only NORTH LONDON LOCKSMITHS. Call our company if you require any work undertaken on the number below. 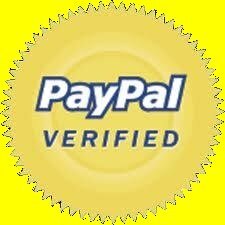 We operate a 24 hour service and take all leading makes of credit cards. ON SITE AS WELL AS IN THE SHOP. From our Tradition Locksmith Shop in Green Lanes N4, we copy and cut all types of keys, we repair locks, cut keys to locks where keys have gone missing, cut and copy TRANSPONDER keys and cut keys to code. Any information given on the form below, is kept in the strictest confidence.